Bitfinex has the same management team as Tether Ltd., a Hong Kong-based company that created the namesake cryptocurrency. When new coins come to market, they’re mostly released on Bitfinex. Some traders -- as well as academics -- have alleged that these Tethers are used to buy Bitcoin at crucial moments when the value of the more ubiquitous digital token dips. JL van der Velde, the chief executive officer of Tether Ltd. and Bitfinex, has previously rejected such claims. The Justice Department’s probe adds to an existing inquiry into possible misconduct. 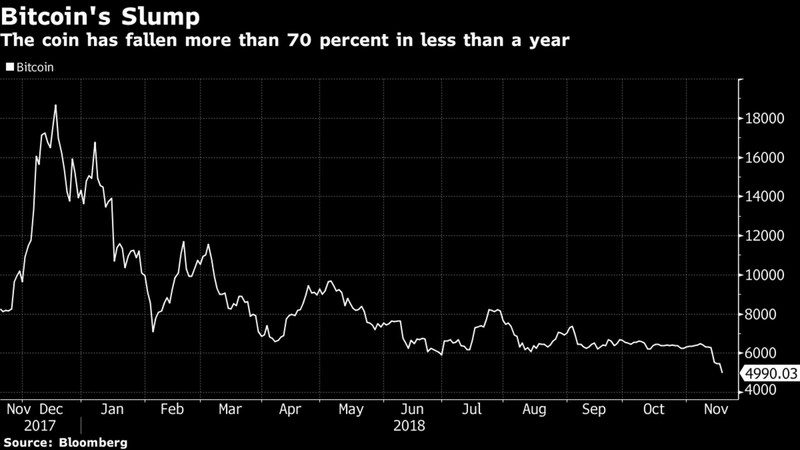 Both Tether Ltd. and Bitfinex received subpoenas last year from the U.S. Commodity Futures Trading Commission. The Justice Department and CFTC are coordinating their examinations, the people said. It couldn’t be determined whether government officials are solely investigating activity that occurred on Bitfinex or if exchange executives are suspected of illegal behavior. Neither the Justice Department nor the CFTC has accused anyone of wrongdoing, and authorities may ultimately conclude that nothing illicit occurred. The Indian government is actively preparing a draft bill on crypto regulation, which is expected to see light this December. The government has filed a counter-affidavit on Nov. 19 in the Supreme Court of India, which is currently hearing a case filed by several crypto exchanges against the Reserve Bank of India (RBI). The draft report and bill will be sent out to members of the inter-ministerial committee (IMC), and that the next meeting of the IMC will specifically discuss the draft legislation. Moreover, Garg’s panel has scheduled two meeting on crypto regulation in January 2019. According to Quartz India, the members of the committee will present the legislation and accept propositions during the meetings. 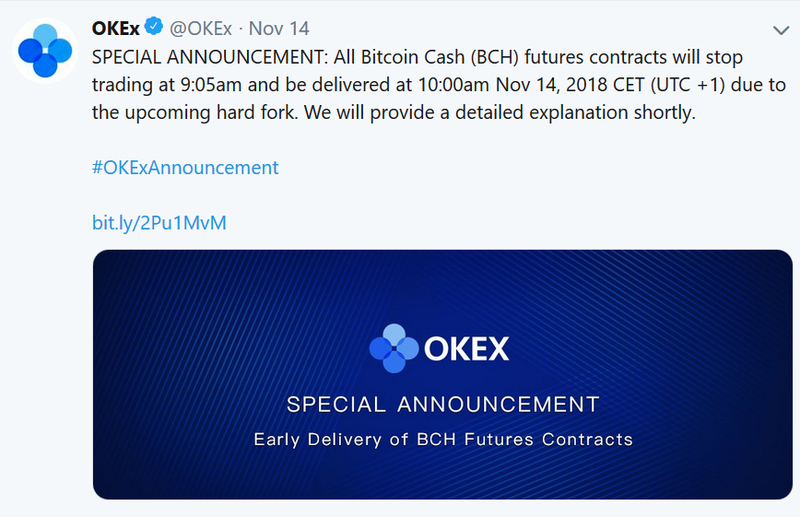 The world’s second-largest cryptocurrency exchange OKEx hit back at accusations it “manipulated markets” by adjusting Bitcoin Cash (BCH) futures settlements in a fresh statement on Nov. 20. The Singapore Exchange (SGX) has clarified the rules for publicly listed companies planning to conduct initial coin offerings (ICOs). Tan Boon Gin, CEO of the stock exchange’s regulatory subsidiary, SGX RegCo, stressed that any tokens launched in an ICO are not listed on the SGX and that these rules are applicable only for the companies themselves. Any listed company planning to hold an ICO is required to consult with SGX RegCo in advance, as well as provide a legal opinion on the nature of tokens and an auditor’s opinion on how the ICO should be treated for accounting – both from “reputable” firms. They also need to ensure that ICOs are “properly” accounted for in their financial statements and that associated risks have been addressed. Further, if the tokens are considered securities under the country’s Securities and Futures Act (SFA), issuers are required to complete prospectus registration and licensing procedures. Firms may also be required to form a subsidiary to carry out the ICO. Finally, SGX RegCo expects listed issuers of ICOs to “safeguard” their own interests and that of shareholders. “The issuer’s board is ultimately responsible for maintaining a robust system of risk management and internal controls,” Gin said. Back in August, Y Ventures Group became Singapore’s first public firm to hold an ICO, which aimed to raise $50 million for creating a blockchain-based e-commerce system. To date, however, no token considered a security has been approved in the country by the Monetary Authority of Singapore (MAS). Cryptocurrency hardware wallet manufacturer Trezor issued a warning to users Nov. 19 after making what it called the “startling” discovery that rogue actors were creating and selling fake devices. 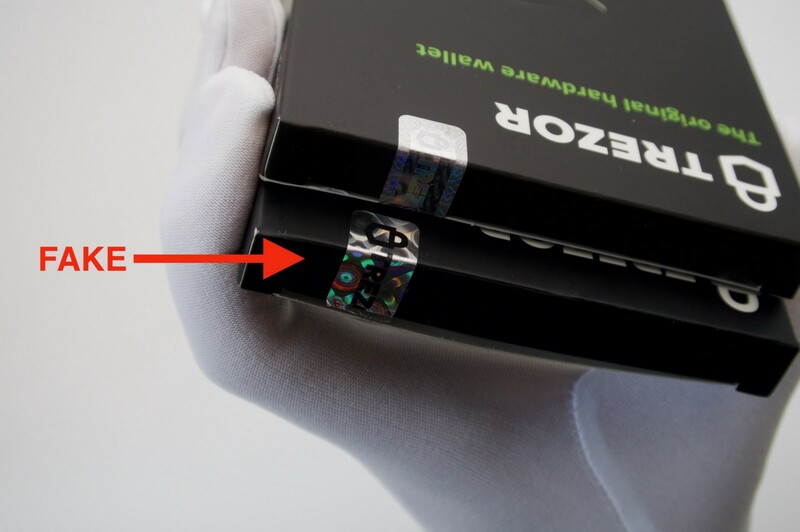 Trezor, which together with Ledger and KeepKey forms one of the oldest and best-known wallet manufacturers, said that an “unknown” third party was distributing “one-to-one copies” of its flagship Trezor One device.